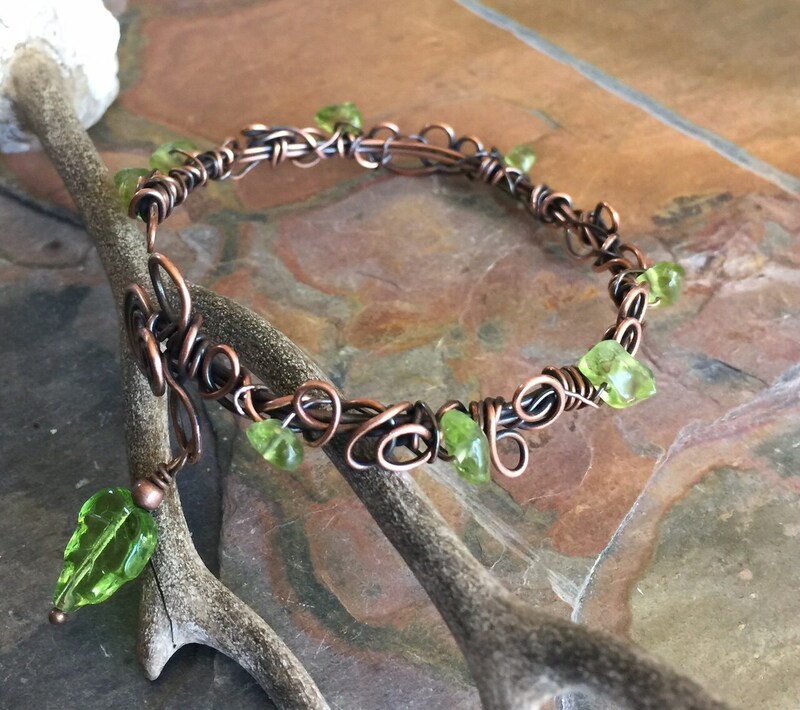 This beautiful beaded bracelet is hand wire wrapped using semi transparent green Peridot gemstone using genuine copper wires in various gauges, then I used the antiquing process to darken/patina the copper wires and forged,hammered & polished to give that warm & rich look of the finished bracelet. 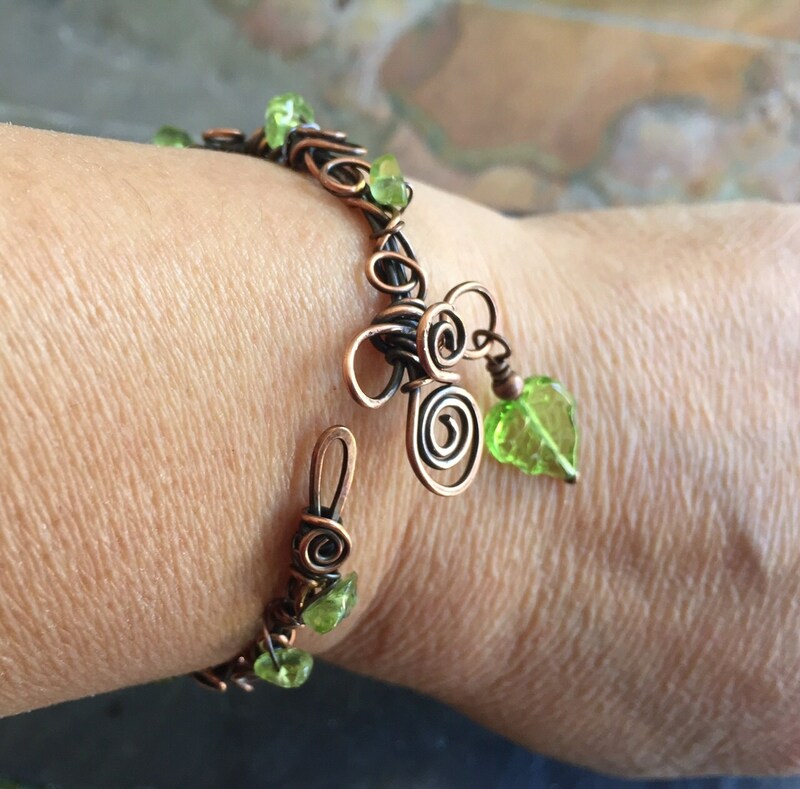 The Peridot gemstones measures between 5 to 7 mm which displays nice olive green colors. 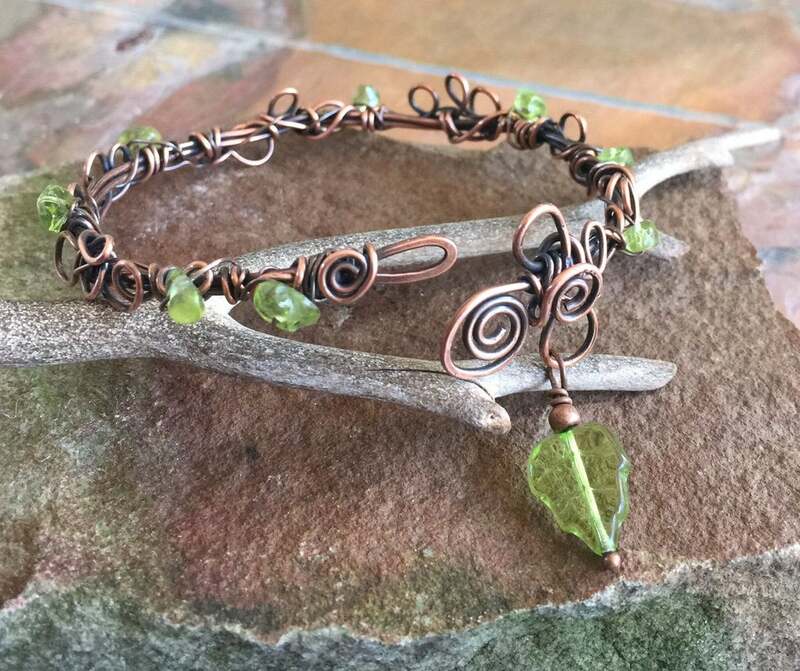 This pretty wire wrapped bracelet is finished with peridot gemstone & flower glass beads. 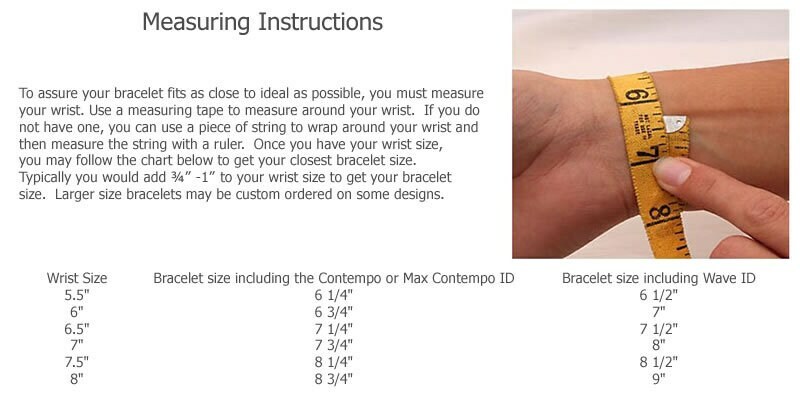 This adjustable bracelet will fit most of the wrist if you are wearing 7 to 8 inch bracelet. 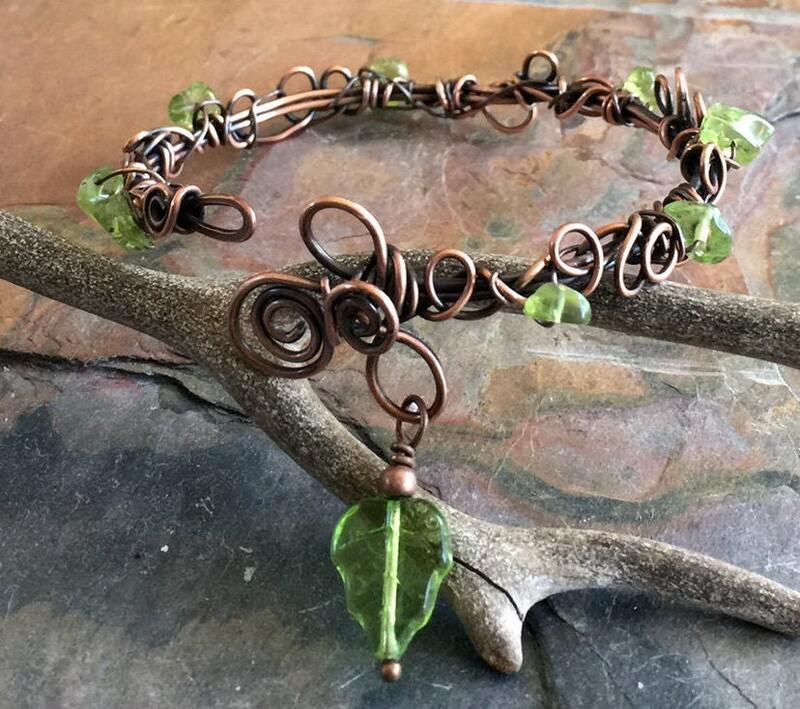 ~~ Each bracelet is handmade, so please allow slight variations from the shape of the freeform circles and placement of the stones as shown. * About Peridot: Periodot is associated with the heart Chakra. Peridot carries a positive energy that is helpful for those undergoing traumatic emotional situations. It is a stone of compassion. Peridot also bring abundance and prosperity. It enhances the healing and harmony of relationships of all kinds. 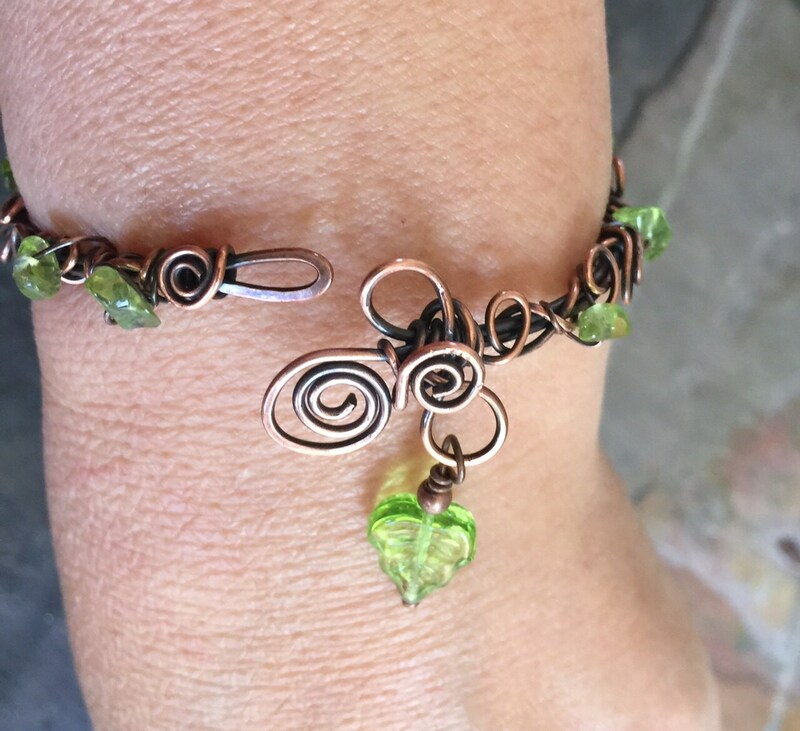 All my jewelry is handmade, and made with care & love.They are guaranteed, and in the unlikely event that it needs to be repaired, I'll do it free of charge. Thank you very much for visiting my shop.